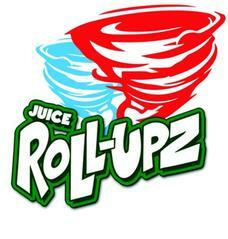 Juice Roll Upz was founded in Orange County, California. The nostalgic candy flavored ejuice is a throwback to your childhood memories, Juice Roll Upz comes in 6 flavor profiles and two flavors on ice which is a total of 8 candy infused vape juice flavor blends. The consistent fruit roll up flavor in a bottle comes in max VG eliquid and is mixed and bottled in an ISO clean facility, with GCC Certified child safety caps and seals. Available in 30ml vape juice and 120ml ejuice bottles. Juice Roll Upz E-Liquid 120ml that drips well and is clean hitting consistent flavor. Delicious blueberries and raspberries come together to form a mouthwatering delight. The sugary treat of blue raspberry fruit candy in eliquid form, provides a sweet and smooth vape all the way through. 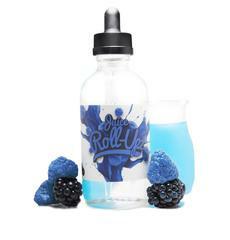 Juice Roll Upz blue raspberry e juice provides a sweet inhale with subtle notes of blue raspberry on the exhale. 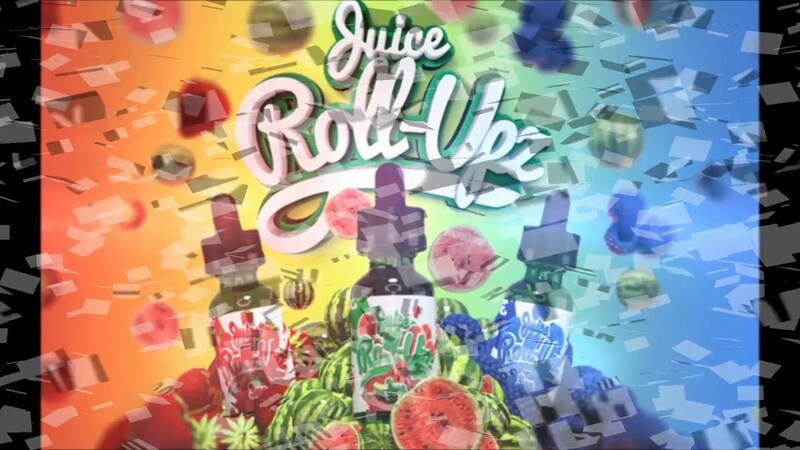 Juice Roll UPZ is a high VG e-liquid that drips well and is clean hitting consistent flavor. The strawberry fruit snack delivers a sweet strawberry candy flavor. Juice Roll Upz Strawberry is sure to keep you vaping until the whole bottle is gone! Juice Rollz Upz Watermelon Punch 120ml is a sweet mouthwatering candy fruit vape juice flavor. The inhale delivers a sweet watermelon candy and finishes with a juicy fruit punch, the nicotine level is a perfect throat hit. Juice Rollz Upz has done it again, providing another sensational fruit candy all-day-vape. Carnival Juice Roll Upz Blue Cotton Candy is a high VG vape juice that drips well and is clean hitting, consistent flavor cotton candy flavor. 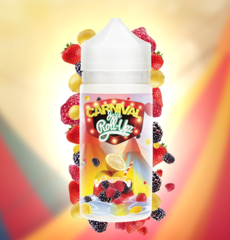 Carnival Juice Roll Upz new flavor with a classic twist, available in 60ml and 100ml bottle. Everyone’s carnival favorite, blue raspberry cotton candy a 100% hit with any sweet tooth vapers. Another vape juice you’ll keep vaping til the last drop. The everlasting memory of Carnival fun food fluffed cotton candy, without it sticky fingers. Berry Lemonade vape juice by Carnival Juice Roll Upz is refreshing blend, perfect for those summer days. The sweet taste of assorted berries blended of hand squeezed lemonade is the long-lasting flavor that will enlighten your taste buds. Berry Lemonade eliquid is the first flavor of the Carnival Juice Roll Upz collection, which is manufactured by The Liquid Guys. The inhale provides the sweet & tangy flavor of mixed berries, finishing with smooth lemonade. Berry Lemonade by Carnival Juice Roll Upz comes available in a 60ml and 100ml bottle. Juice Roll Upz and Carnival Juice Roll Upz is a fast growing premium eliquid brand. Based out of Orange County, California what makes this brand different from other candy flavored eliquid manufactures is the freshness, consistent flavors and resonance with millennial vapers, the appealing nostalgic consistent flavors keep them coming back for more. P.O.G. ejuice by Juice Roll Upz Tropical is the tropical blend of passion fruit, oranges and guava. The exotic fruity vape juice captures each flavor note perfectly and will instantly become your favorite. Refresh your taste buds with the perfect island feel with Juice Roll Upz Tropical P.O.G. (Passion Fruit, Orange, Guava) vape juice. HI Punch by Juice Roll Upz Tropical, a blend of tropical arrives in a 100ml gorilla bottle. On the inhale, Juice Roll Upz HI Punch exhilarates your taste buds with its powerful fruity juice flavor. As the punch juice swirls along the tongue, its subtle tartness makes you salivate. With every exhale, the taste elevates the smooth tropical flavor, satisfying your sweet tooth’s cravings. HI Punch Tropical Juice Roll Upz will make you feel like you are on a exotic island. Juice Roll Upz Tropical Mango is the tropical fruit collection is like biting into a juicy, ripe mango. Thanks to the high-quality ingredients that Juice Roll-Upz uses to craft their premium ejuice, Tropical Island Mango is as authentic-tasting as it gets. On the inhale, Tropical Mango delivers a fresh juicy punch of ripe mango flavor. If you are a fruit purist, this flavor will make your taste buds tingle. On the exhale, a welcome hint of juicy peach blends with the taste of ripe mango perfectly. If you are a fruit fanatic, this is one vape juice that you must try. Shop our online ejuice deals on Juice Roll upz and our wide selection of vape juice brands.